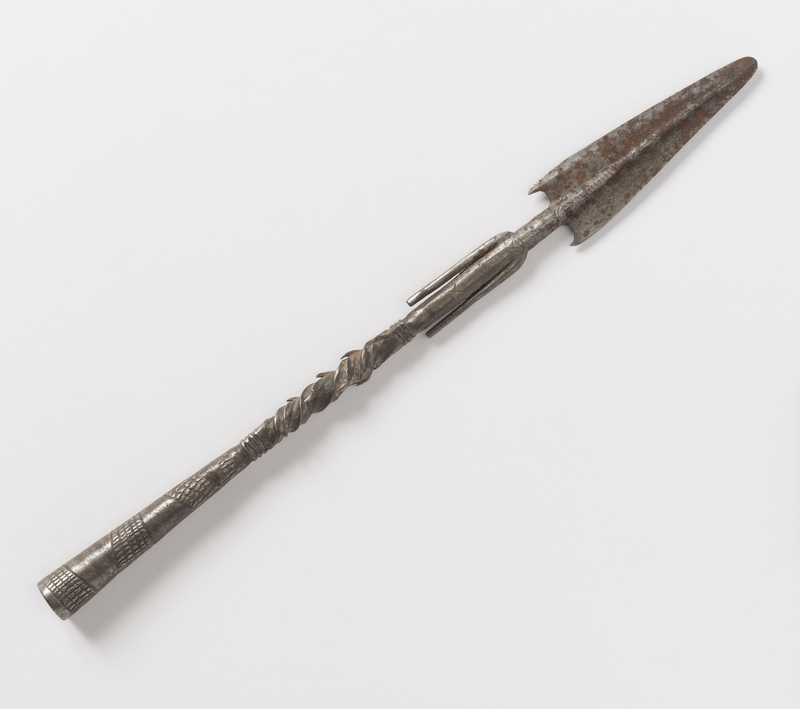 This is a Lance point. It is dated 19th century and we acquired it in 1951. Its medium is wrought steel. It is a part of the Product Design and Decorative Arts department. This object was donated by Estate of David Wolfe Bishop. It is credited Gift of the Estate of David Wolfe Bishop.